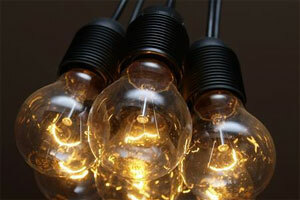 Home » broadband » Now, bulbs can be used to broadcast household broadband! Now, bulbs can be used to broadcast household broadband! switch on your wireless Internet connection at home. through the same connection as a normal lamp. connection, by altering the frequency of the ambient light in the room. TV spectrum or unused satellite signals. he could turn them all into Internet transmitters, the 'Daily Mail' reported. It has new applications in hospitals, airplanes, military, and even underwater. beamed out of the lights on board, according to the physicist. and only have a certain range. to use it for wireless communications?" Prof Hass said.